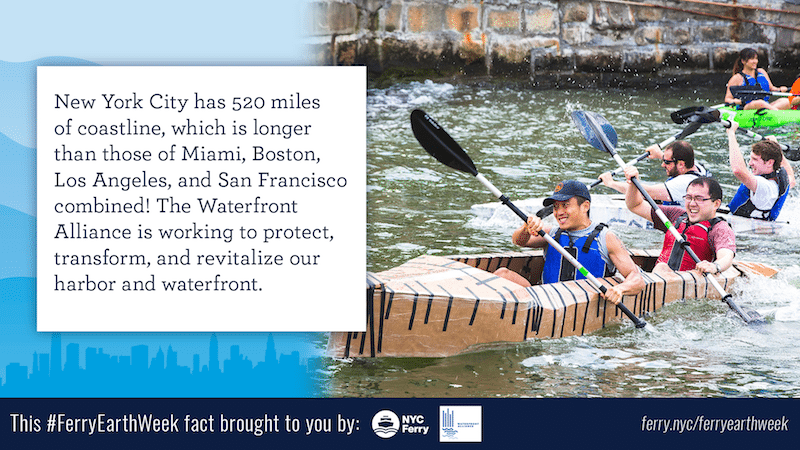 Join us as we celebrate #FerryEarthWeek on our boats, in the neighborhoods we serve, and all around New York City. Our focus is on sustainability, education, and waterfront access. Get to know some of the ways that we and NY Harbor partner organizations are working toward a more sustainable future! This week, you’ll see our NYC Ferry crew wearing green hats. That’s because at Hornblower we consider ourselves to be advocates for the environment. As part of our Respect Our Planet Mission, Hornblower companies are committed to cleaner air, cleaner water, and a cleaner future. And our internal practices mirror these commitments: we strive to minimize our impact on the environment through a process of continual improvement. This includes resource tracking, reducing our energy and water consumption, utilizing advancements in transportation technology, waste management practices and green purchasing. 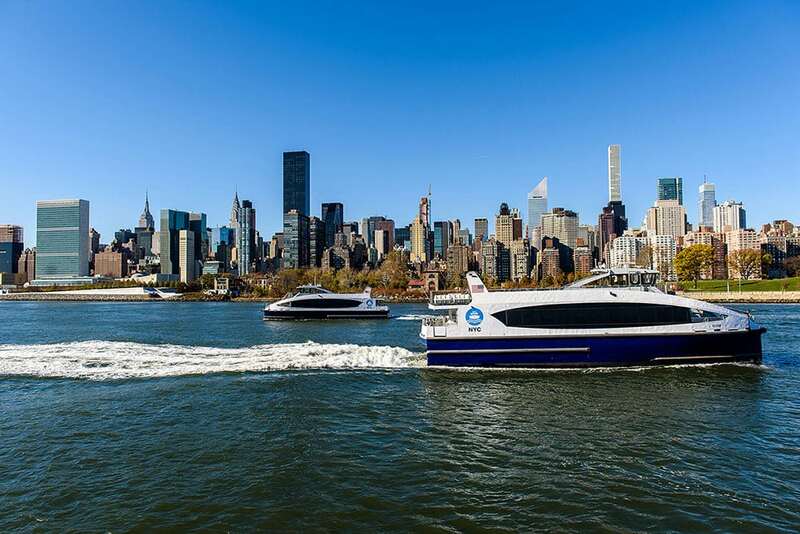 At NYC Ferry, our boats were made for speed and precision, but we made sure we included the best practices for our environment. NYC Harbor is a busy place — our low-wake design means there is less disruption to upland shorelines as well as other vessels in the harbor, including kayakers and paddlers. NYC Ferry’s Tier 3 engines are the best in their class for our vessel size. They were also built out of light-weight materials, reducing the amount of fuel needed to operate them. And YOU can help us save fuel by taking your trash off the boat with you! We use vinyl wraps on all of our boats to reduce environmental hazards of paint and eliminate the need for sanding. Our LED lighting reduces our energy consumption as well! However, being sustainable doesn’t just mean investing in the right materials, it also means investing in our community. We offer all locally-sourced beverages on board from coffee to wine, our fuel comes from local vendors, and we have local hiring initiatives in place (Come work with us!). We work with many great NYC partners who are working in their own way to promote education, sustainability, and waterfront access. Find out more about what they’re up to by clicking through the images in the gallery below and be sure to check out our events page with information on how you can join them this Earth Week! Rockaway Waterfront Alliance – a community-based organization dedicated to empowering residents of underserved communities in the Rockaways to play a role in the determination of their neighborhoods. They provide enriching education and community programming, which instill both individual and civic respect for nature, and contribute to advancing the physical, economic and social sustainability in the Rockaway Peninsula. Join the Rockaway Waterfront Alliance’s dune planting event and check out the coral exhibit at their R.I.S.E. Center. Waterfront Alliance – works to protect, transform, and revitalize our harbor and waterfront by promoting the vision of a harbor where commercial and recreational mariners exist together peacefully; where parks and neighborhoods are connected by affordable waterborne transit; where the waterfront is a shared resource for all; and where our coastal city—a city of islands—intelligently and resolutely prepares for the reality of sea level rise. 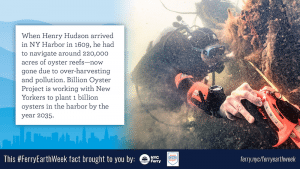 Billion Oyster Project – an ecosystem restoration and education movement aimed at restoring one billion live oysters to New York Harbor by the year 2035. With the ability to filter water, provide habitat for many marine species, and help shield NYC shorelines from storm damage, oysters have the power to protect life in and out of the water. Build oyster condos with the Billion Oyster Project on Governors Island this week! Four Freedoms Park Conservancy – operates, maintains, and programs Franklin D. Roosevelt Four Freedoms Park to advance President Roosevelt’s legacy and inspires, educates, and engages the public in the ideals of the Four Freedoms: freedom of speech and expression, freedom of worship, freedom from want, and freedom from fear. 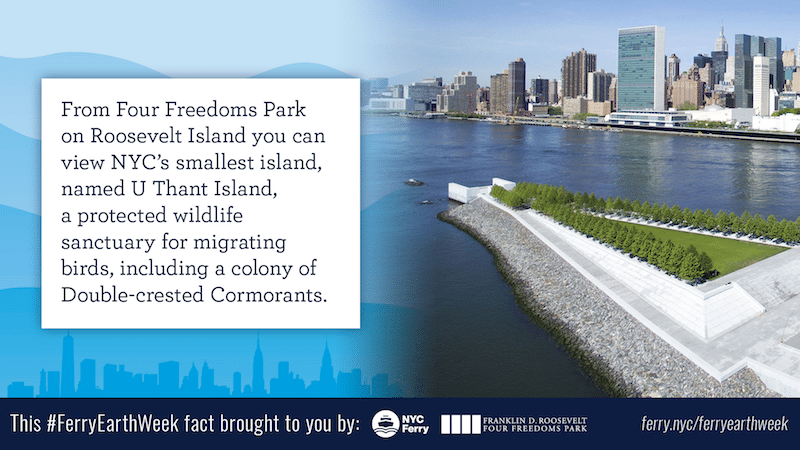 Located on the southern tip of Roosevelt Island, FDR Four Freedoms Park is free and open to the public from 9am-7pm, closed Tuesdays. The Annual Roosevelt Island Community Cherry Blossom Festival is happening Saturday, April 21st! 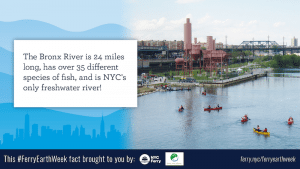 Bronx River Alliance – serves as a coordinated voice for the river and works in harmonious partnership to protect, improve and restore the Bronx River corridor so that it can be a healthy ecological, recreational, educational and economic resource for the communities through which the river flows. 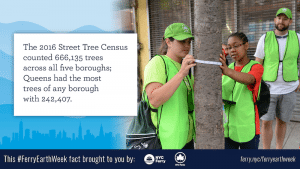 The Alliance works in close partnership with the New York City Department of Parks & Recreation to achieve these goals. 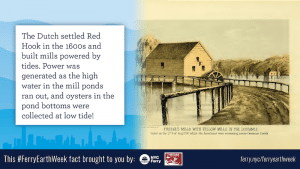 The Bronx River Alliance and United by Blue host a clean up day in Soundview Park on April 21st. Newtown Creek Alliance – a community-based organization dedicated to restoring, revealing and revitalizing Newtown Creek. 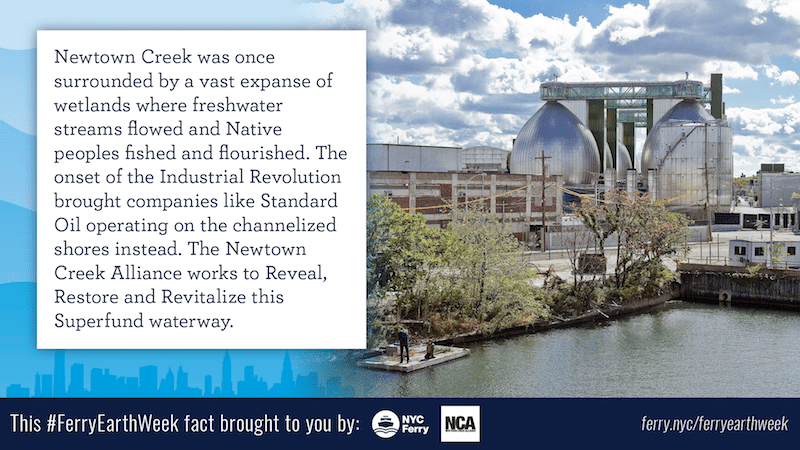 They work to restore community health, water quality, habitat, access, and vibrant commerce along Newtown Creek. Since 2002, the Alliance has served as a catalyst for effective community action. Their efforts have made a positive and enduring impact on the health and quality of life of Creek-side communities. 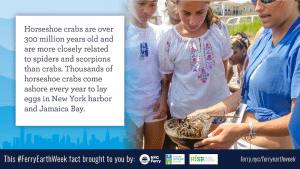 Join the Newtown Creek Alliance and their partners for a day of green fun in Greenpoint. NY Sun Works – a non-profit organization that builds innovative science labs in urban schools. 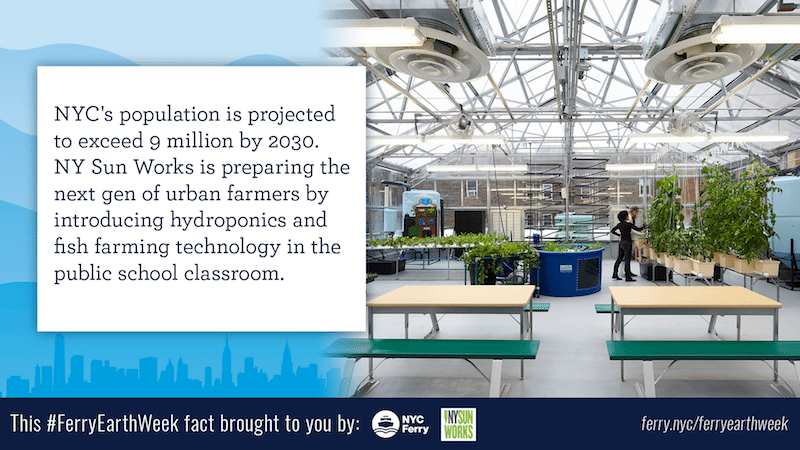 Through their Greenhouse Project Initiative, they use hydroponic farming technology to educate students and teachers about the science of sustainability. 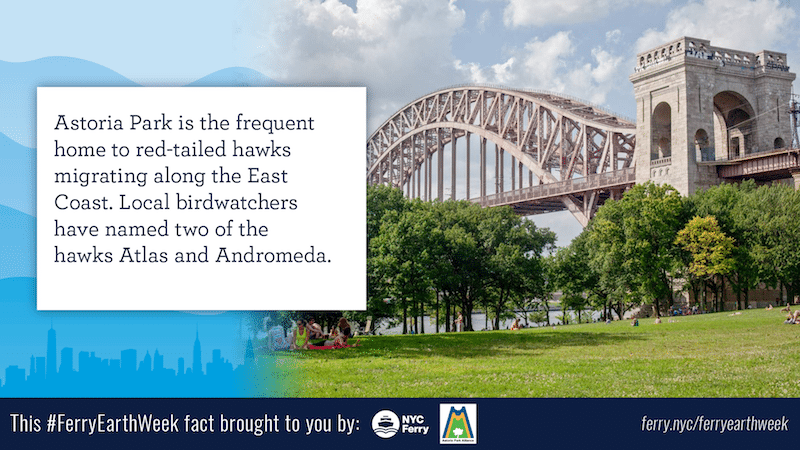 Astoria Park Alliance – ensures the conservation and sustainability of Astoria Park for all New Yorkers by empowering public partnerships. They create programming that reflects the cultural diversity of their community and meets the needs of their users while advocating for green and open space in the park, with a keen eye on environmental issues. Shore Fest 2018 is shore to be a good time in Astoria Park on Earth Day! NYC Parks Department – New York City’s principal providers of recreational and athletic facilities and programs and are the steward of more than 30,000 acres of land — 14 percent of New York City — including more than 5,000 individual properties ranging from Coney Island Beach and Central Park to community gardens and Greenstreets. They look after 600,000 street trees, and two million more in parks, operate athletic fields, public pools, playgrounds, nature centers, and over 14 miles of beaches. NYC Parks has a number of different Earth Day events which you can find on their calendar here. 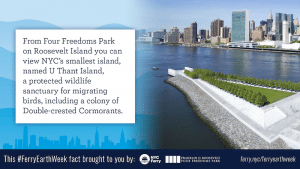 PortSide NewYork – connects New Yorkers to the benefits of our waterways and ports. They produce WaterStories programs in education and culture and a pipeline to marine jobs on and off the historic ship MARY A. WHALEN. They are creating a maritime center in Red Hook that combines the working waterfront, public access, and community development. Keep an eye out for their “Mary Month of May” activities in honor of the Mary Whalen’s 80th birthday!